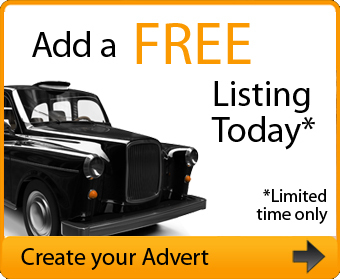 If you are a taxi company and would like to advertise on any of our listings pages then for just £10 per month we will create for you a custom banner specific for any area. So for example if you wanted to advertise at the top of the London page it would go in place of the demo banner on the london page. Click demo banner below so you can see where the banner will go. You can choose as many locations as you wish if they are available and for example if you choose 6 locations the cost is £50 per month. 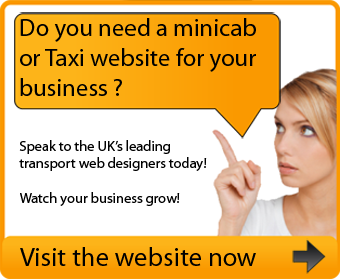 We will only advertise one banner per location which is a great advantage for any taxi company because it will mean that you will always be at the top of any results page. This will give you the edge over all your competitors for any new customers and all for only £10 per month . Please contact us by filling out the form below giving details of exactly what location/locations you would like to advertise in and we will get back to you within 24 hours.